It’s easy to underestimate the costs that injured parties incur in motor vehicle collisions. The economic impact of a car crash can be devastating, though, even with adequate health insurance and applicable auto coverage. After all, medical bills and vehicle repairs are not the only expenses accident victims incur. Other calculable costs might include lost wages and benefits, loss of earning capacity, and home modifications. In fact, it is not uncommon for such damages to amount to tens of thousands of dollars—or more. According to the National Safety Council, the average economic cost of sustaining a disabling injury in a motor vehicle collision in 2015 was $90,000. In 2015, the average cost of suffering a disabiling injury in a car accident was $90,000. Accumulating nearly six figures in unanticipated expenses is enough to threaten anyone’s financial security. Fortunately, accident victims may be able to recover compensation for both the economic and non-economic damages they incur by filing a personal injury claim. The adjuster working for the car insurance company may seem friendly and compassionate, but his or her ultimate goal is in direct opposition with your own. Your lawyer, on the other hand, wants you to secure the largest settlement possible and will advocate for your rights every step of the way. Building a strong personal injury claim is demanding. Claimants may need to gather medical records, obtain testimony from eyewitnesses, interview specialists and experts, secure official police reports, track current expenses, calculate future costs, and negotiate for a fair settlement. Completing such tasks is exhausting even when you are in perfect health. By hiring an attorney, though, you can focus on recovering while someone else does all the work for you. Researchers have determined that motor vehicle collisions cost the United States $871 billion annually; however, economic costs account for just $277 billion of that. Nearly $600 billion, on the other hand, can be attributed to non-economic damages like pain and suffering. Based on these statistics alone, it is reasonable to assume a significant portion of your settlement will be non-economic. Calculating such costs can be challenging, though, especially if you do not have any experience in personal injury law. Fortunately, a seasoned attorney will know what kinds of damages should be part of the settlement negotiations and how to calculate a fair amount for each. According to a study by the Insurance Research Council, car accident victims who had an attorney received 3.5 times more money on average compared to those who represented themselves. When fault is unclear—or the opposing party disputes liability—there are certain kinds of evidence that will strengthen your claim. For example, testimony from an accident reconstruction expert could ultimately help you prove the defendant was liable for the crash. If you hire an experienced attorney, you will gain access to valuable legal resources, including specialists and professionals who can speak on various aspects of the case. Insurance adjusters are incredibly skilled when it comes to negotiating, and they have countless strategies for getting claimants to accept less than they deserve. Lawyers also happen to be skilled negotiators, though, and they will not allow an insurance adjuster to intimidate their client. 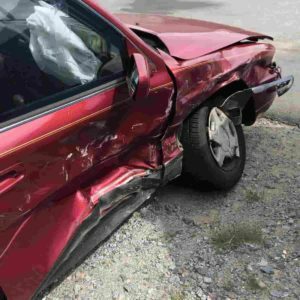 According to the American Bar Association, most personal injury claims are settled before reaching court; however, there is still a chance the case could make it to court. Hiring an attorney from the start will give you the confidence to proceed to trial if necessary. Sustaining serious injuries in a motor vehicle collision is undoubtedly stressful. By hiring a personal injury lawyer, though, you can eliminate much of the stress that would otherwise accompany the claims process and focus solely on your health.